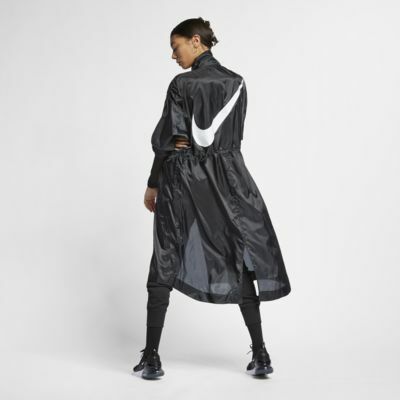 No matter where you're rushing off to, the Nike Sportswear 'Swoosh' Parka keeps you covered in street-ready style with a minimalist design. Lightweight and durable with an adjustable fit, this oversized piece is a fresh and versatile wardrobe staple. 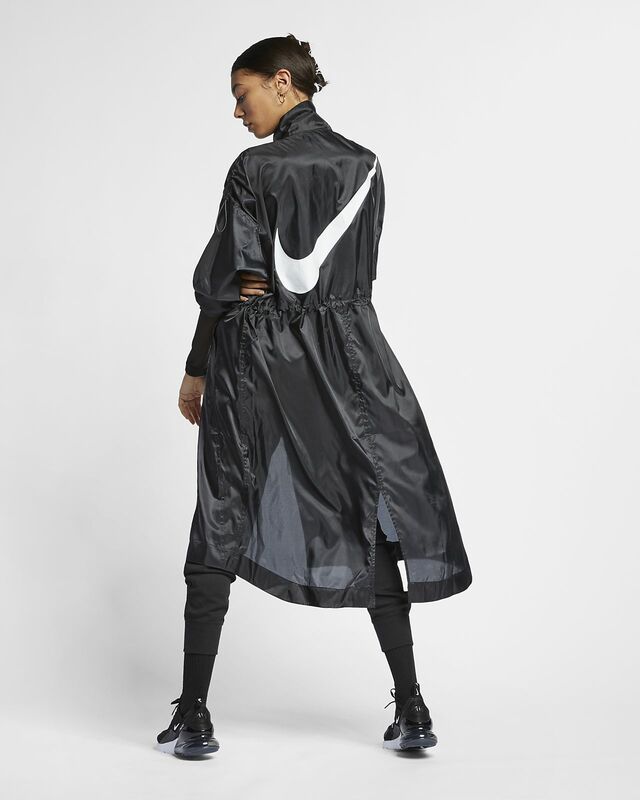 No matter where you&apos;re rushing off to, the Nike Sportswear &apos;Swoosh&apos; Parka keeps you covered in street-ready style with a minimalist design. Lightweight and durable with an adjustable fit, this oversized piece is a fresh and versatile wardrobe staple. Ripstop fabric is sturdy and comfortable. Longline design offers extra coverage from the elements. Speckled bungees along the shoulders let you adjust the fit. 2-way front zip adds versatile style. Split, extended back hem lets you move freely. Elastic cuffs help retain your body heat.